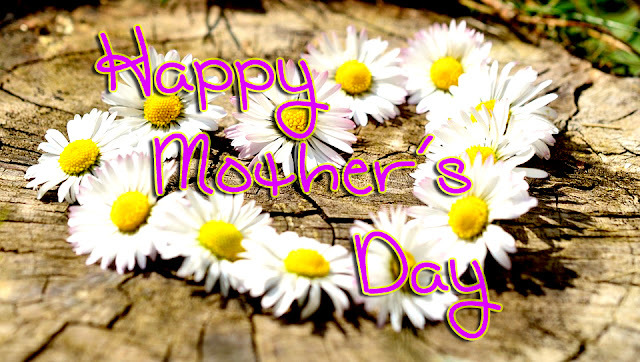 Holding daisies, counting stars: Mothers Day. My 3 moms. I am 31 years old, and about the enter the part of my life where motherhood is a distinct possibility in my near future. Or not. Who knows what the future holds. But until then, i have my 3 mothers that I watch and learn from every day. Yes, 3. My sweet, loving, awesome mother-in-law. I love my mother-in-law and happily live pretty close by her. We talk often, and I love it. She is a great girl-friend, and has welcomed me as a part of the family for as long as I have been around. I am by no means a 'refined' girl, but watching my mother-in-law has taught me how its supposed to look when someone is. No, she isn't the high heels, make-up required, always perfect kind of classy, she is the kind of women who doesn't need all of that. She has Taste (and a great eye for beautiful jewelry), and she treats people well and knows how to be polite and give the right gifts and say the right things and offer drinks at the right times and send thank you cards and all those things I am totally oblivious of, but she is teaching me. She is sweet and genuine and has a kindness that runs deep and true in her. When you look at her home, and see her dressed up, you can't help but admire her. She has a lot of qualities I admire actually, and I am happy to spend many years getting to know her and all of those qualities and absorbing what I can from her. She has raised 3 insanely smart, crazy, sons who are all successful and kind heart-ted men and I can only hope to attain that type of success in my own life. My Step-mom. I hate calling her that, its not the right title for what she is to me and my sister. Lets just call her L. I am her daughter, and she is my mom as much as the mother I share blood is. I thank the stars for her daily. She is a feisty, red-headed pistol who can tear you down with a look and spit fire from her lips. She is strong and good and does not give 2 shits. If a million people were to bow at her feet she wouldn't care, and she wouldn't notice if those same people cursed her name to hell. She takes care of my dad and saves kittens from storm drains at 3 am (that happened literally last week). I can always count on her, no matter what. And I mean no matter what, like she is the most loyal, loving person ever. She has been in mine and my sisters lives a long time and she has influenced us both tremendously. I learn strength from her, I learn work ethic from her, I learn about bull-dosing through problems despite the world trying to hold you back. I learn about sharp-tongued laughter from her and dry sarcasm that makes people feel uncomfortable and its funny. I learn about kindness to animals and how to deal with a million little paws running around your feet while holding a snake in your pocket while you try to get ready for work. I hope my legacy will be like hers, a strong, loving, quick-witted and kind women who can be counted on no matter what. My mom. Oh my mom. I love my mom. My mom and I have had valleys and peaks in our relationship, but I guess that pretty much any mother-daughter relationship. I am lucky that she understands mine and my sisters relationship with L, and has always encouraged it and never talked down about her. As I have gotten older is when my mother and I's relationship has gotten good. I had to grow to understand her and who she was and how she became the women she is before i could like her as much as i do now. But i also think she has changed as a person a lot too as I have gotten older. Where she once would question herself, she has grown to embrace herself, where she once seemed to shy away from something, she has learned to confront it. My mom has learned to embrace her own style and artistic soul and that's something i admire in her. I learn from her how to keep growing as a person and never stop trying to be more. I also learn from her that mistakes will be made, no matter how hard you try. She has taught me to move beyond those mistakes, even if moving on means laying flat on the floor and crying about it for a minute first. My mom is hard to describe in words, she is just her, and i am happy and proud to call her my mom. I am a lucky, lucky women to have 3 moms. And 3 amazing, wonderful, good, smart, and kind, moms at that. And I think I am a pretty smart girl for appreciating them for it too. My moms aren't perfect, but neither is anyone else. I learn from them and have become a better person because of them. So Happy Mothers Day, to my sweet Mother-in-law, to my feisty beautiful L who is one of my favorite humans ever, and to my Mom, who is also my friend. I love all 3 of you very very much. Thank you for your kind thoughts. I know that wishes come true because my son found you. The love of family makes life beautiful. Marriage made you family. Love makes you my daughter forever. Happy Mothers Day to all.